Such a quality has never been there for light controllers of this size. 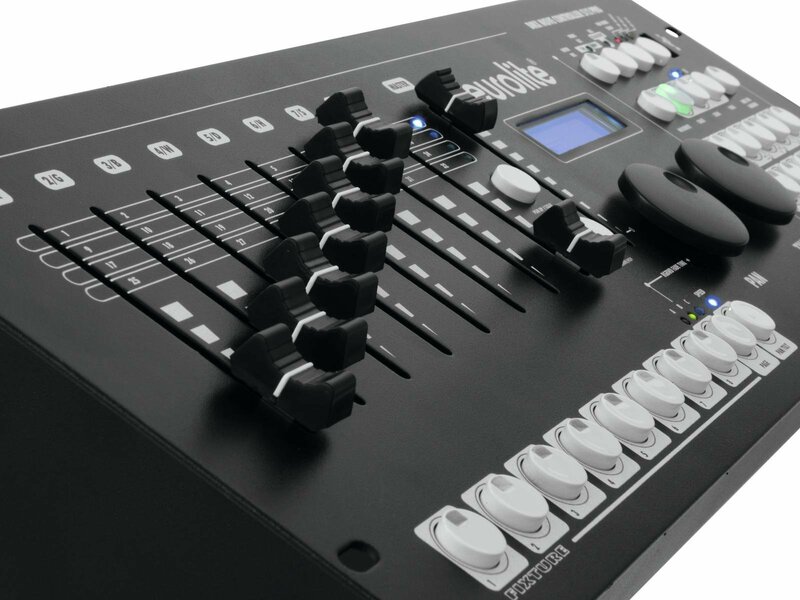 The Move Controller scores with its equipment, conception and a special feature: motorized faders. 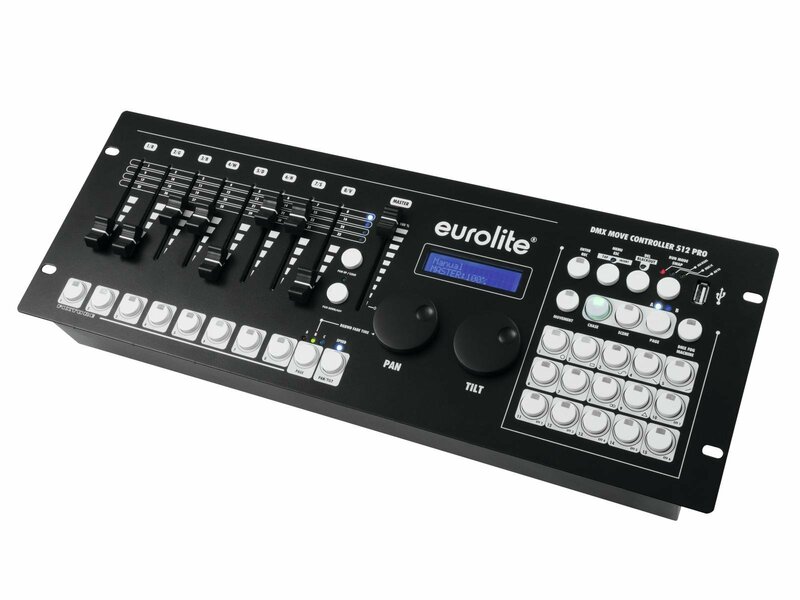 With the DMX Move Controller 512 Pro, 24 DMX lighting effect devices with up to 34 channels per device can be controlled. 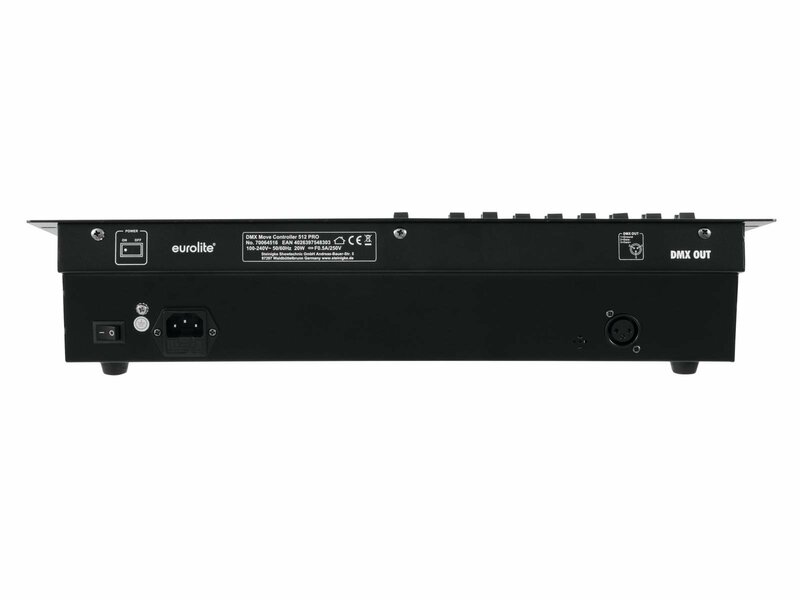 It is perfectly suited for use with moving lights and devices having RGB or RGBW LEDs. The compact measurements make it the perfect companion for mobile users. 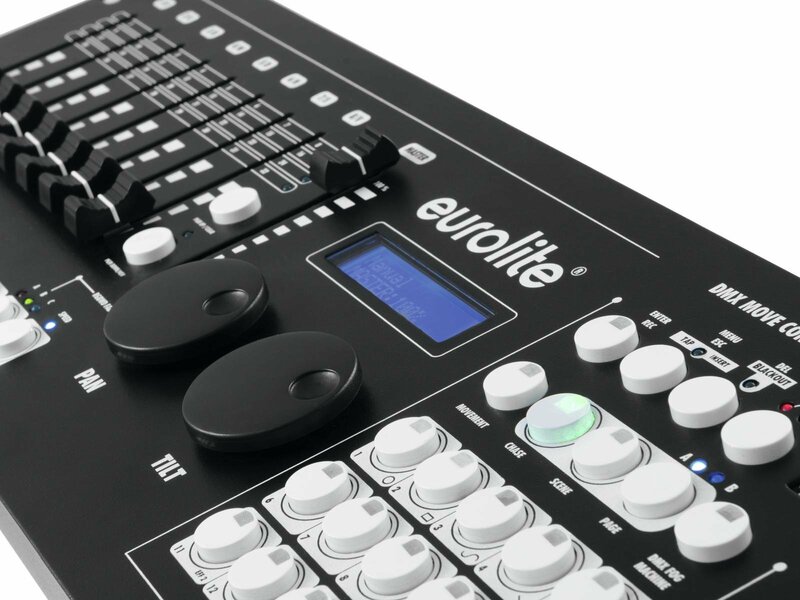 What makes the controller particularly user friendly are its motorized faders. When switching between banks, chases and scenes, the faders return to their programmed position and can so easily be changed again. A feature, which could only be found in much more expensive and bigger controllers until now. Especially comfortable are the color-illuminated buttons. Users can orientate themselves easily at a glance. 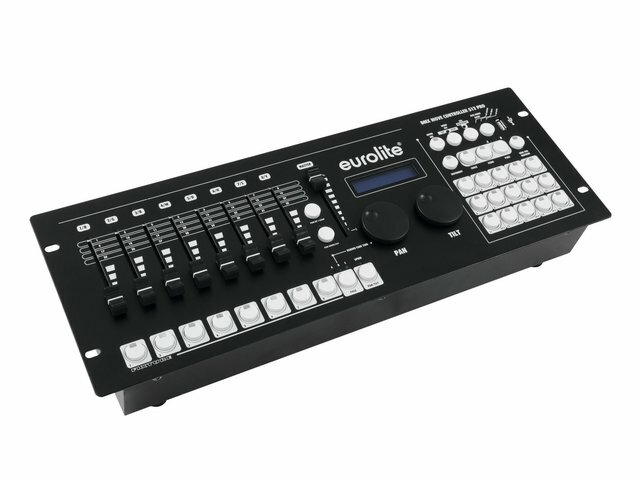 The DMX Move Controller 512 PRO offers seven pre-programmed color effects and 9 movement patterns. Several color effects and movement patterns can be used at the same time. Via integrated USB connection, back-ups of the programmed light shows as well as fixture patchings can be saved on a conventional USB stick. Software can also be updated this way. Due to its various possibilities, the controller‘s use is not limited to a certain stage size. 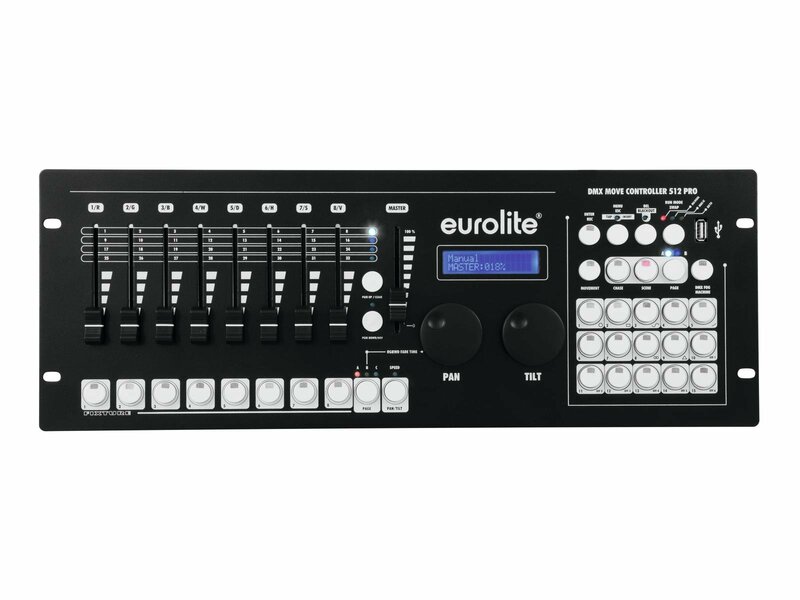 It is suited for small light shows as well as for big stages and is a perfect device for ambitious beginners as well as for long-time professionals.